With this washing Machine from Hotpoint it allows your clothes to look their very best all thanks to its 7kg drum capacity. 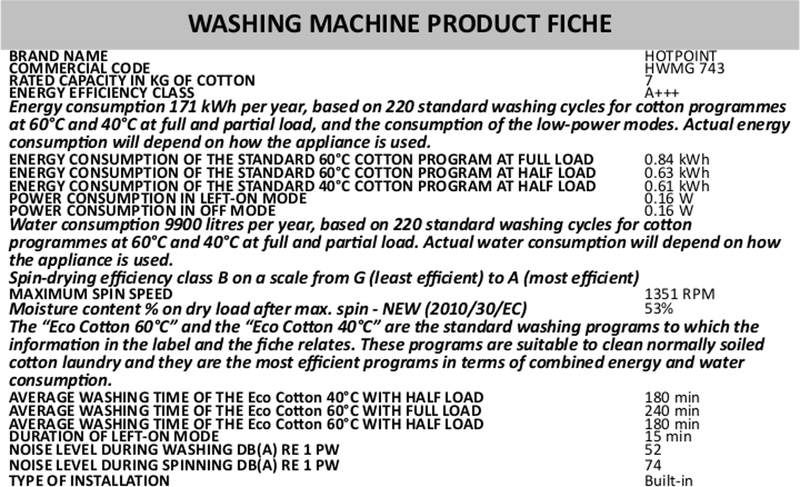 Perfect for laundry days in smaller or medium sized households, the machine comes with a fantastic A+++ energy rating meaning you will be guaranteed to have an economic machine and not have to worry about any excess bills. When all of your colour clothes need washing, than take advantage of the colours 15 programme. This programme allows you to use water at just 15 degrees; keeping all of your favourite clothes looking fresh and vibrant all whilst giving them a great clean.